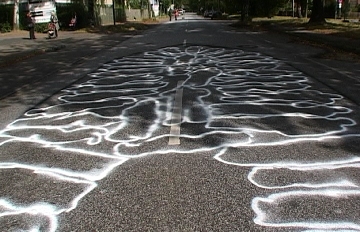 The Film “Bodenerhebungen” focusses on recent changes in the district of Altona, in Hamburg / Germany. On former railway-owned grounds the “New Heart of Altona” is being built with a public park that will integrate several older landmark buildings – not, however, their previous residents coming from crafts, art and music. Developmental speculation projects and architectural visualizations collide with the critical voices of local residents. Analysis of pollutants in the soil clash with political and business interests. The image of the territory itself oscillates under the impression of these different voices. Fourteen people share their stories of fleeing from their native countries. By foot, on boats or with the help of escape agents, they were chased away by war, toxic gas, torture, fear and terror. Some are still kids, strong only through the courage of despair, led by their hopes and wishes. Their personal stories of and experiences with their arrival in Hamburg, in the county of Pinneberg, in container camps, sleepless nights and the struggle with paperwork intertwine with a “banning space”, which subjects them to registration, restrictions and controls which are often a means to send them back either soon or sometimes even after decades. 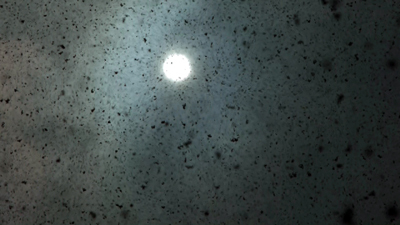 In the film, the individual struggles are narrated in interviews whereas the “banning space” is visualized by the use of cinematic techniques. 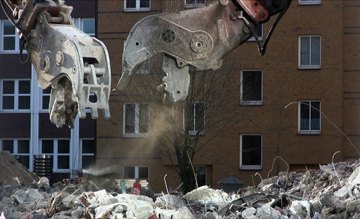 The experimental film visually explores the spectacle of precise destruction by focussing on the demolition of buildings in Hamburg and combining these with in-depth interviews of those affected. The result is a new filmic space developing a fragile constellation of image and sound elements. Women of various ethnic backgrounds give intimate insights into their lives in present day Germany. In-between worlds focuses on the daily conflicts and balancing acts these women face within a multicultural society. In doing so, the film scrutinises the very idea of it. The records of the „The League of Passionate Accountants“ and the activities of “wandsbecktransformance – presence of the colonial” give insight into the transatlantic slave trade of the merchant Schimmelmann. 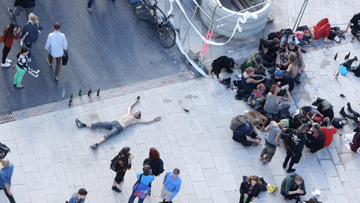 An ordinary schoolday in Schenefeld and Dresden is going havoc. Pupils exhibit unknown qualities while developing lyrics, musical themes and recording their own musical pieces. Continuous traffic in immediate proximity to some unaffected, snoozing cows. 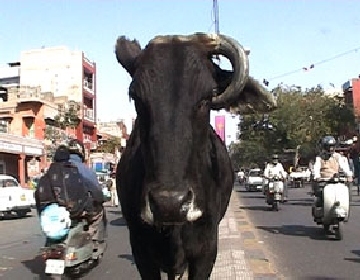 Slamming of brakes leaves them unperturbed, no sign of a flight instinct – a holy cow. With the cows remaining calm, inert composure and hustle go hand in hand. Their invulnerability turns them into an icon. On daily life that happens between the constructions and deconstructions of fun fairs such as the “Dom”. On growth of their temporary dwellings and the alternating neighbors who know each other inside out. Peeping through the windows of their caravans, the fun fair actors tell stories about their lives and mobile domiciles. 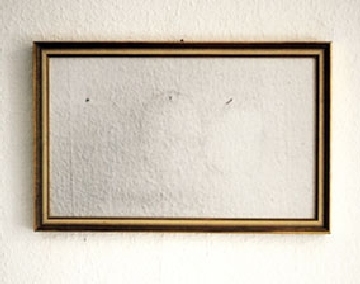 What does art – also main stream art – mean to the people who live with it? 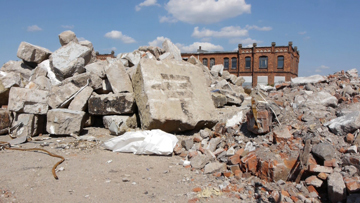 Residents who had to move due to redevelopment use the traces their art left to talk about its meaning. A search for memorized meaning of pictures and a film about the presence of absence.